A career in real estate can be a rewarding one. Real estate is an investment that takes time to bear fruit but the market generates stable demand. People are always looking for great deals in land and property either as an investment or asset. But for the real estate agent, there is always so much work to get done. Updating lists, networking, marketing and promotion, client calls, viewings and presentations; the scope of work goes on. The best option would be to hire a Virtual Assistant. 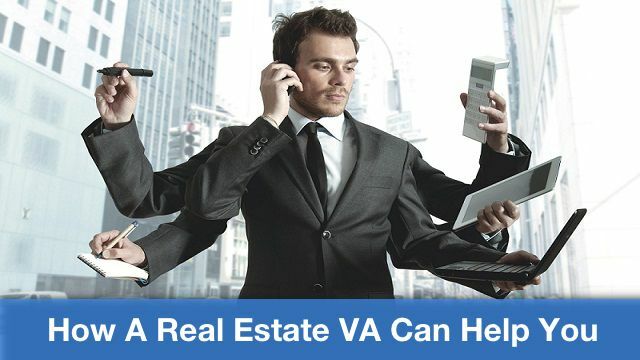 Here is how the VA can help you in the real estate business. Virtual assistants are people who conduct work online and are contracted to do specific tasks or projects. Most of them have experience working in a regular office, 9 to 5 environment. They know how it is to work with other people and deal with the pressure of having deadlines. Over the last few years, more and more businesses are hiring virtual assistants not only because they are productive but having them on-board is a cost effective option. A VA is self- employed and pays for all the expenses incurred in the business of providing virtual assistance services. Thus, hiring a VA will not significantly add to your operating budget. For the real estate agent, the CRM is one of the most important areas of the job. It contains all the valuable information on all of your clients and prospects. The CRM helps the real estate agent keep track of the status of the prospect in relation to his or her position in the sales funnel. Background information on the property’s owners and other public information on the item being sold. Determine the listed prices of properties within the area of interest. Identify key selling points within the area such as schools, commercial properties, banks and other development projects. Current trends in real estate. For research to be effective, it must be highly detailed. Most entrepreneurs will not have the time to do these but your VA surely can. Virtual assistants are very proficient in basic office software such as spreadsheets, word documents and slide presentation materials. When you are presenting to a client, it is important that you have the figures and information to back up your proposal. All of these are best packaged and presented in slide format. This is because people respond better to images. A VA can prepare these materials for you in a very professional manner. In order to keep up with the competition, your online presence must continually be enhanced. The best approach is to use social media. But you have to adhere to a strict schedule for posting, sharing and engaging in social media. A VA can set the schedule and assure you all posting, sharing, engagement activities in social media will push through. They are well- versed in the type of technology needed to support your social media campaigns. Today’s social media have specific skill sets. You can get a VA with the ability to write great content that is relevant, engaging and compelling. Blogging is one of the most effective online marketing tools. 61% of purchasing decisions have been influence by a blog. If you need content on your website but are unsure of your ability to write, do not hesitate to hire a Virtual Assistant. With all the things you have to do in a day, you may miss out on an opportunity by overlooking meetings with prospects or existing clients. A Virtual Assistant has extraordinary organizational and calendar management skills. He or she is organized enough to schedule your calendar and keep track of upcoming meetings. With a VA onboard, you will never miss meetings with clients or prospects! You can hire VA’s who have previous experience working in the real estate industry. They’ve done various tasks in real estate most notably following up with prospects. The great thing about these experienced VA’s is they know how to build up a relationship with your prospects. They will regularly touch base with them and discreetly follow up with your proposal but most of the conversation is designed to foster friendships and trust. These experienced virtual assistants will help move your prospects further down the sales funnel. For many real estate agents, the top half of their mornings is allocated to checking e-mails. Not everyone will be related to the real estate business. Some will be marketing materials and some will be about inconsequential matters. Managing e-mails take a lot of time. This takes longer if you have to send an immediate response. 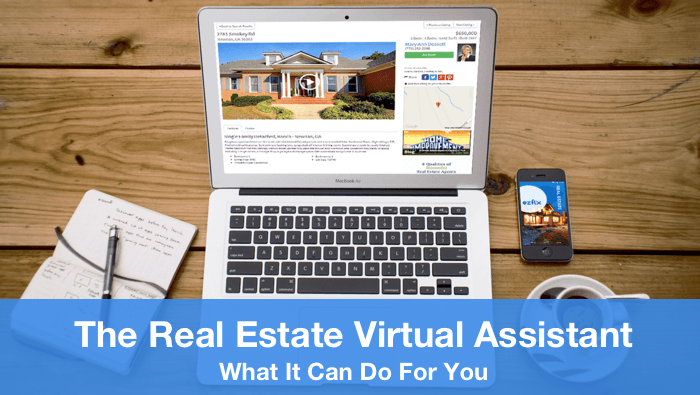 Your VA in real estate can manage your e-mail for you. They can filter your inbox for junk mail and craft limited communication to select clients, prospects or associates. To a certain extent assuming data is readily available your VA can prepare the Comprehensive Market Analysis or CMA. As you well know, preparing the CMA can be quite an exhaustive task. But it is a necessary document to have a near accurate idea of how property should be priced. You can find many VA’s who are resourceful enough to get the CMA done accurately even if they are from a remote location. The real estate business can be very stressful because of the level of competition, the amount of negotiation and networking you have to do on certain days plus the numerous tasks you have to attend to. Having a VA onboard will help alleviate a big part of the burden off your shoulders. The VA will open up some time for you to rest and recharge. Perhaps even take that much delayed vacation with your family! 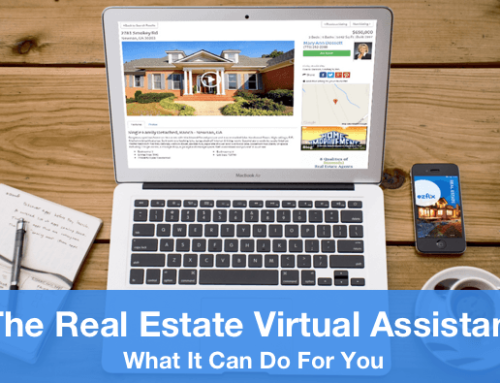 If you want to be productive in real estate hiring a VA is a step in the right direction. It is a strategy that will exponentially improve your level of productivity and will not affect your costs of operation. You can get more things done when you have a VA on your team. If you want to hire a virtual assistant, OutsourceWorkers provides the best outsourcing services, starting at just $7 per hour. Request a consultation now.